Post Tagged with: "Blaugust Reborn"
Years ago I took part in the Newbie Blogger Initiative where I made many blogging friends. This year I’m taking part in an event that sprang from the community event so long ago. Belghast, our gracious host for the coming month, combined Blaugust (an event to motivate bloggers to post every day) and the NBI in one: Blaugust Reborn. Mentors advise (newbie) bloggers about keeping your own blog, coming up with ideas and staying motivated. It’s a great way to expand your readership, meet other bloggers in a wide variety of topics and work on your blogging skills. I loved the community then and many are still present today. I can’t wait to read and get to know the new bloggers. I signed up as a participant, since I’d feel wrong to be a mentor even though I’ve been blogging for years. 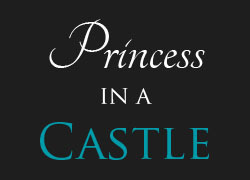 Princess in a Castle hasn’t been active for the past years since I’ve been working on other projects, but that’s going to change. On my other site (Narratess) a post goes up every Friday, but blogging every day is something I haven’t done for a while. I want to blog more and getting back into that rhythm of writing a lot of posts is a great way to get started. The topics for next month will be mostly focused on the 101 goals since I haven’t updated those since the beginning of the year and I have made progress. There are more inspiring TED Talks that I want to share and played more games. I’ll definitely write about those. I might talk about the interesting things I watched on Netflix. My brainstorm is nearly done, but some topics might be exchanged for topics the Blaugust community will tackle.